Beautiful painting, Darlene! Love your greens! I'm glad you tossed more poppy seeds into the bed. 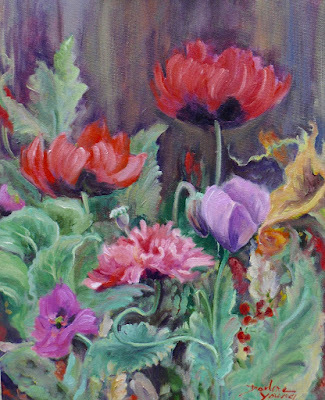 We'll have another lovely poppy painting to look forward to!